Kealy (@kealykat on Instagram), a Navy sailor and quilter, started collecting red, white, and blue heart blocks (tutorial from Cluck Cluck Sew) to make into quilts for the families of those lost. As soon as I learned of her efforts, I immediately volunteered to make a quilt. 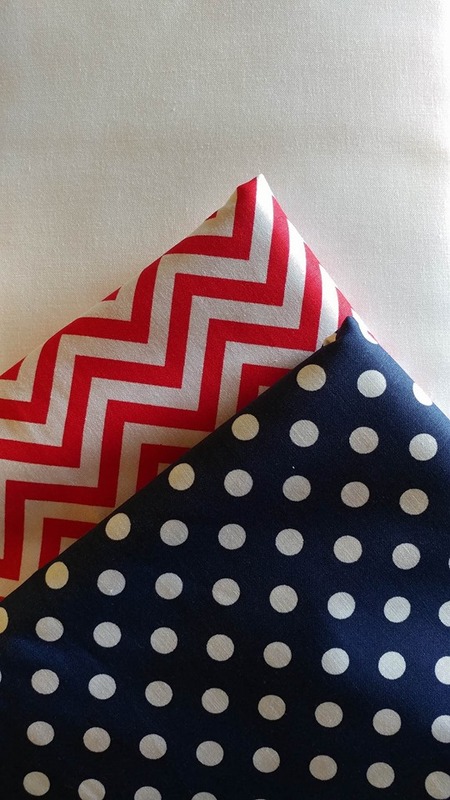 I used red and blue fabrics from my stash, and Moda Bella white (I love having a bolt of that on hand!) 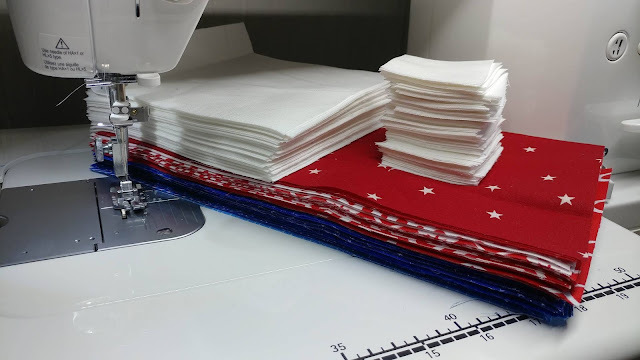 to make the 10" heart blocks. 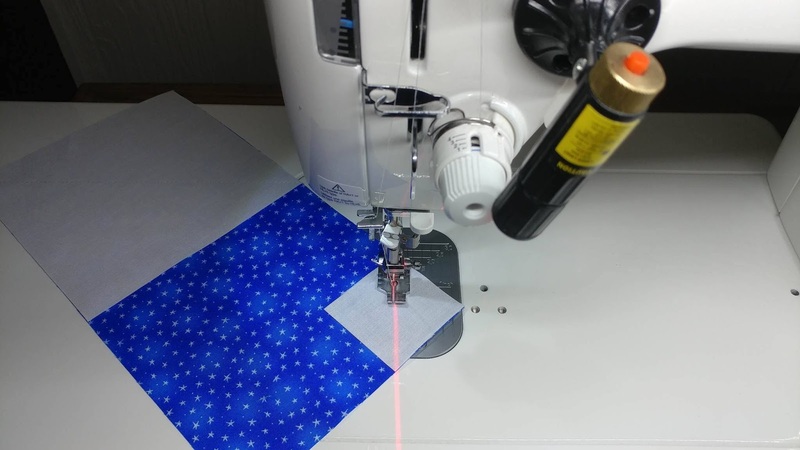 I used my laser so I didn't have to draw a single line! Before trimming the excess fabric away, I stitched another line 1/2" away from the first on the large squares. 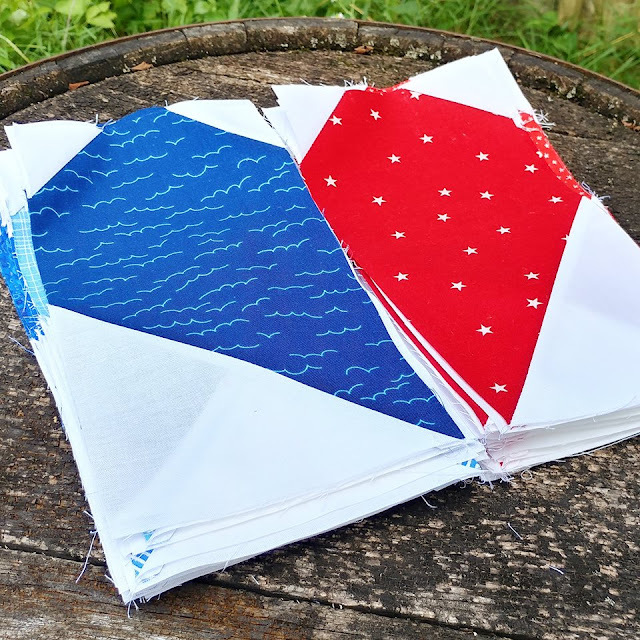 This created a bonus HST (half square triangle) with very little extra work that I can use on another project! 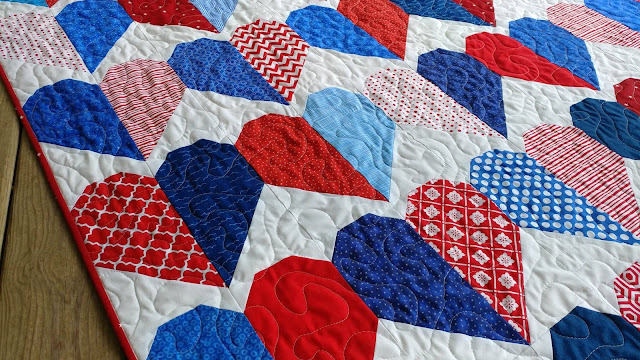 I decided to pair a red heart half with a blue heart half to represent broken hearts. Kealy requested a 6x6 layout to make a 60" square quilt. After finishing the top, I realized I didn't have enough red and blue fabrics left to piece together a back, and I didn't want to use the solid white either. A quick trip to pick up some more fabric led to a fun idea for the back. I used the same proportions of the 10" block to make a 60" block! The back is one giant heart! It was a little challenging to sandwich the top and back for quilting since they were both exactly the same size. This never would have worked if quilting on a longarm (that needs at least an extra 4" on every side for the backing), but since I was quilting it myself on my Juki TL-2010Q, I knew I could make it happen! 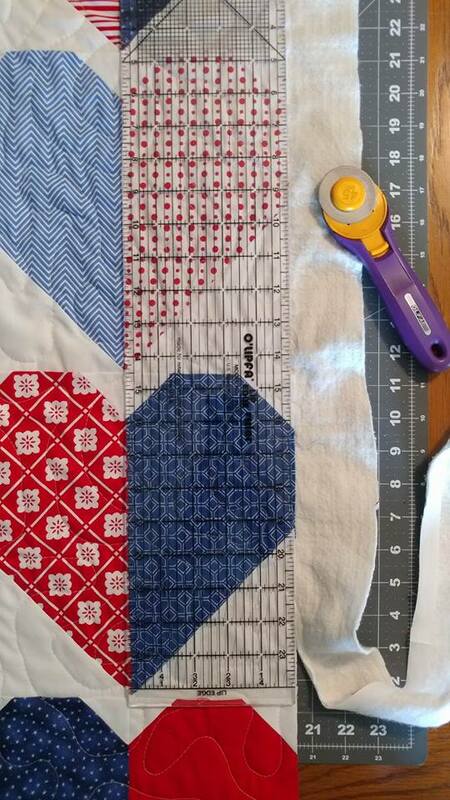 I used the 100% cotton batting by The Warm Co. and natural white #2021 Aurifil thread. 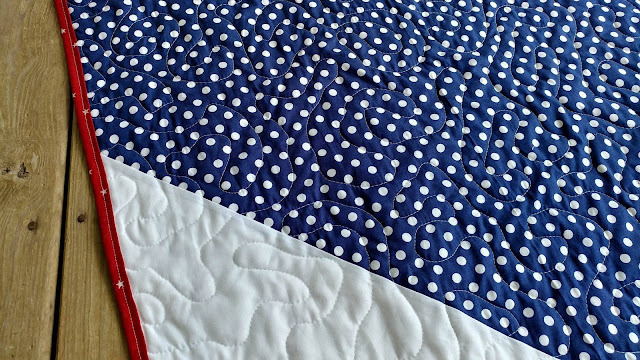 I quilted a large stipple over the entire quilt. 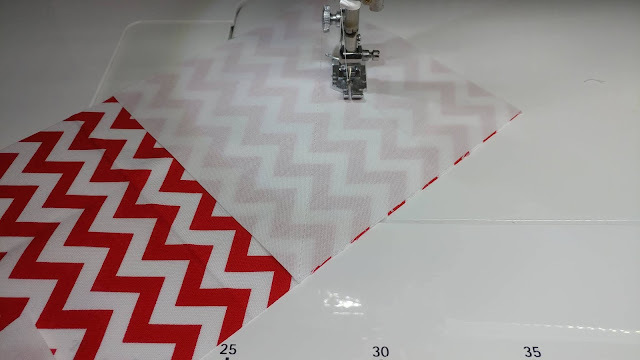 This is my go-to quilting design for large quilts. 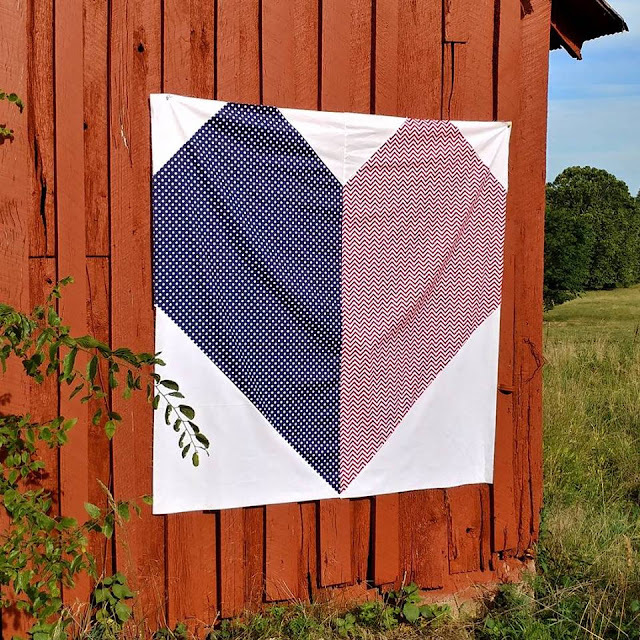 I can quilt it fairly quickly, and the design is pretty forgiving, so little hesitation stitches don't show as much as they do on a more structured design. Once quilted, I added a red and white star binding to finish it. I will add a label before shipping it to Kealy this week. 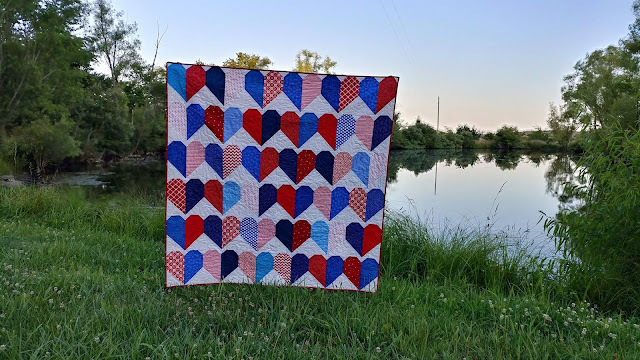 Although I do not like the circumstances that sparked the need for this quilt, I am happy that I was able to use my talents and abilities to help in some small way. I pray that this quilt will provide some comfort to a family amid their grief. This is the third heart quilt I've made. 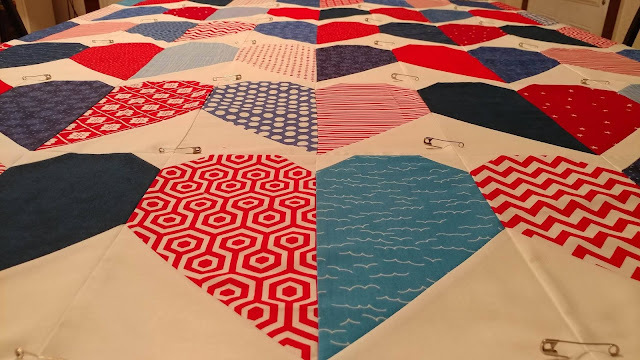 The first was one of the Quilts for Pulse collected after the Pulse Nightclub shooting, and the second was one of the Quilts for Peace collected after the Dallas police shooting last year. 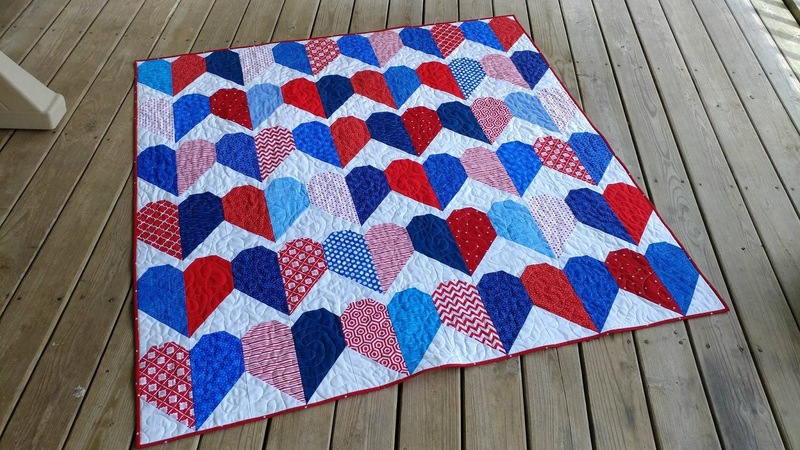 This is the second quilt I've made for donation this year. The first was my 882 Box Blocks quilt for an assisted living resident in Newfoundland, Canada after a fire destroyed their home. 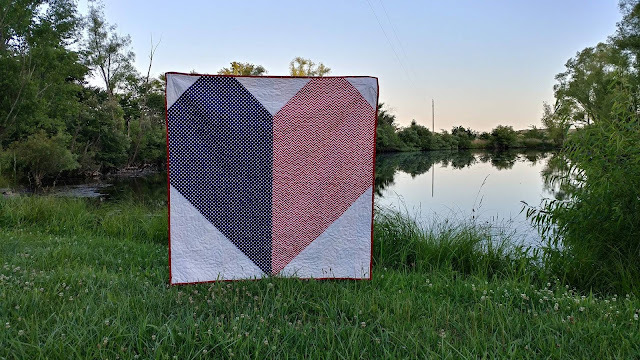 Linking up with Scrap Quilt Challenge at Persimon Dreams, Main Crush Monday at Cooking Up Quilts, Let's Bee Social at Sew Fresh Quilts, Needle and Thread Thursday at My Quilt Infatuation, TGIFF at Faith and Fabric, Finished or Not Friday at Busy Hands Quilts, Can I Get a Whoop Whoop? 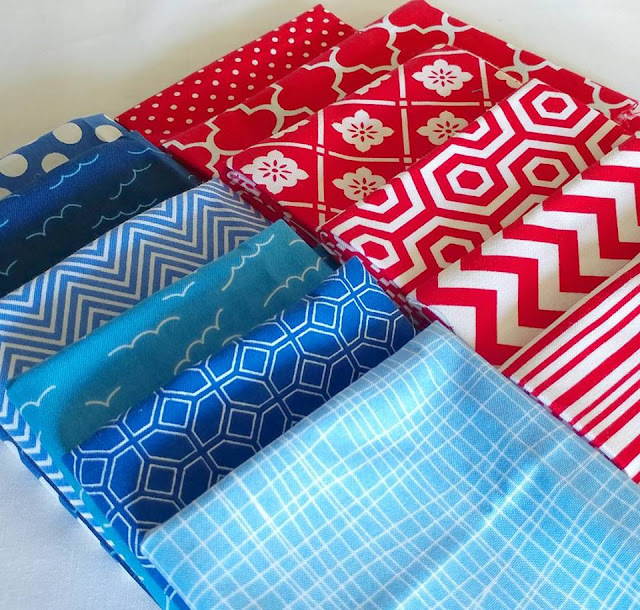 at Confessions of a Fabric Addict, and Finish It Up Friday at Crazy Mom Quilts. 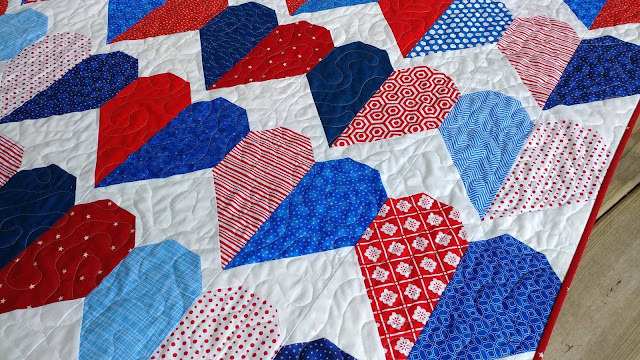 This is such a beautiful quilt, I love it so much. It's a very generous and thoughtful gift on your part and sorry it had to be made under a sad and unfortunate circumstance. 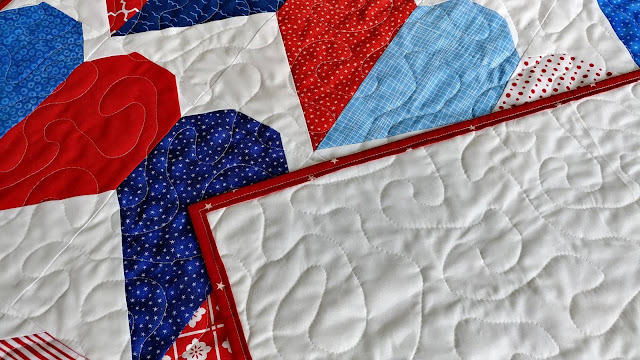 I hope your quilt will bring some comfort to the family who will be receiving it. God Bless you, Laura. Love how you did the backing. 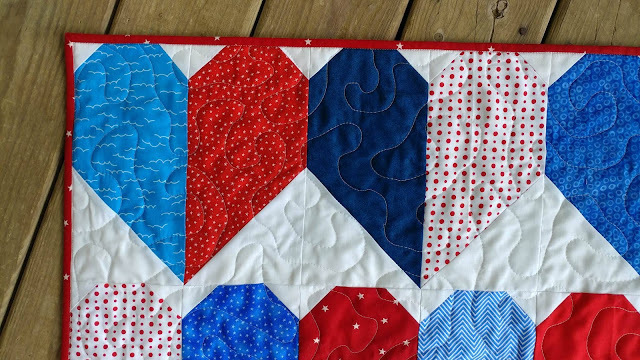 Thanks for doing this thoughtful quilt deed, Laura. That's a big heart! What a lovely tribute and comfort to someone. Such a big heart you have! 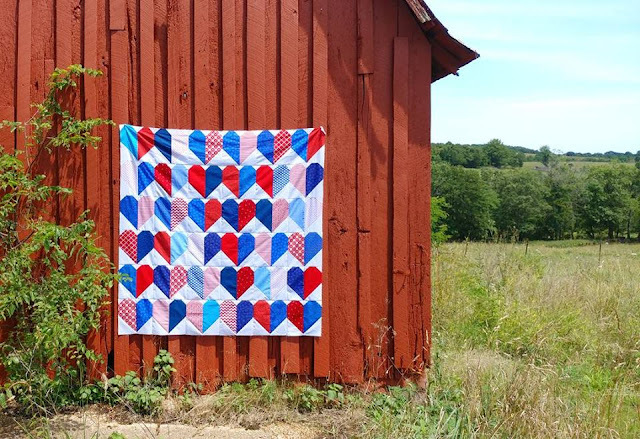 I'm sure your quilt will be much loved and appreciated! Thank you for sharing - your post as well as your love! 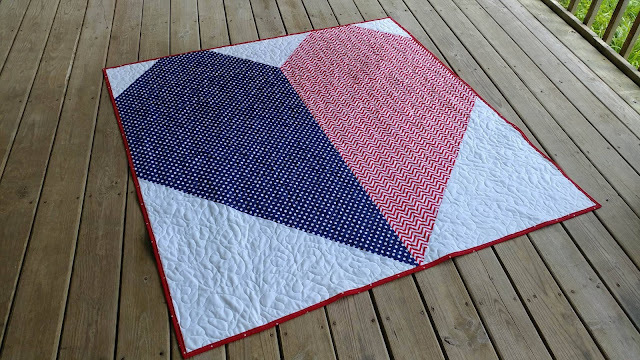 What a wonderful quilt. 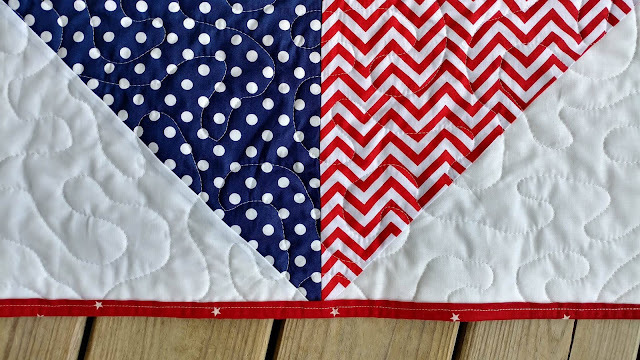 I love that it is reversible. You are so thoughtful to do this and on such short notice. I am sure the recipients will be very pleased with this memory quilt. Laura, this is beautiful! What a wonderful project. Thank you for sharing your talents with those in pain. The design is perfect and I love the big heart on the back. 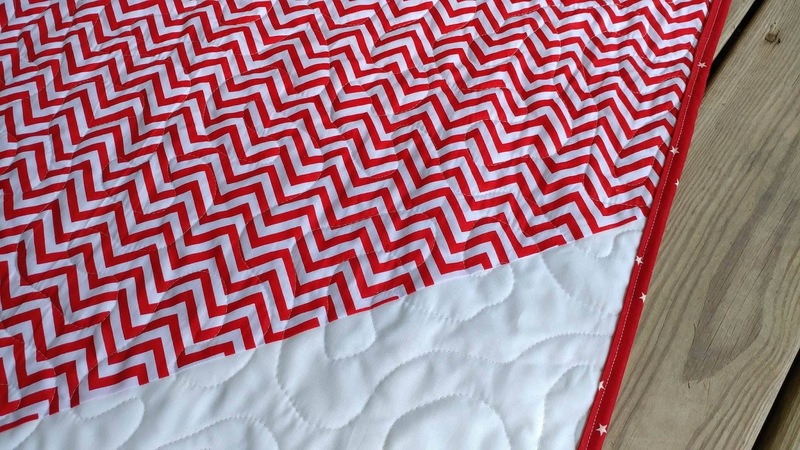 A stunning quilt, it will be a great comfort to whoever receives it I am sure. 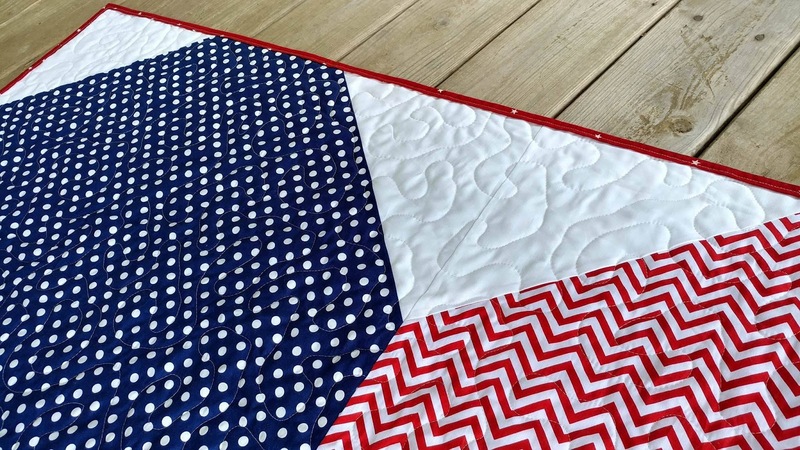 Thank you for generosity in making this comfort quilt for a grieving Navy family. My father served 20 years in the US Navy, 5 years on a destroyer like the USS Fitzgerald.